After 4 years, participants using statins did not demonstrate a lowered risk of worsening pain. Patients with osteoarthritis (OA) who have used statins for more than 5 years and those using atorvastatin may have a lower risk for knee pain, according to findings published in Arthritis Care & Research. The researchers selected 4448 community-dwelling adults from the Osteoarthritis Initiative database who met study criteria, including individuals who had knee pain within the last 12 months and individuals who were at risk of developing knee pain because of obesity or familiarity. Statin use in participants was assessed, including rosuvastatin, atorvastatin, lovastatin, simvastatin, pravastatin, and fluvastatin. Statin use after 4 and 5 years was also recorded and used in the analysis. At the beginning of the study, 2512 individuals had radiographic OA, and 1082 of those individuals had radiographic symptomatic knee OA. Atorvastatin was the most common statin used (13.6%). 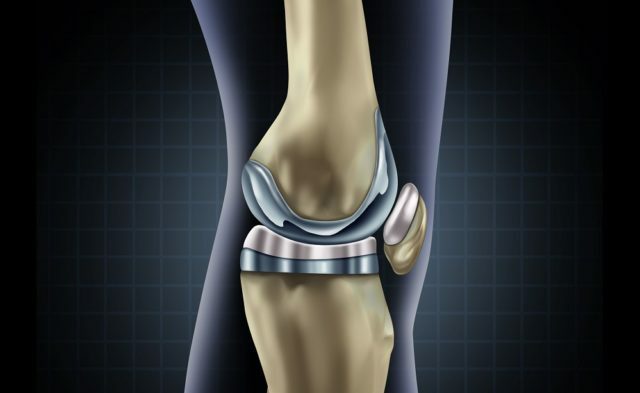 At baseline, radiographic knee OA was more common in individuals who used statins, and they reported higher levels of knee pain according to the Western Ontario and McMaster Universities Osteoarthritis Index. After 4 years, participants using statins did not demonstrate a lowered risk of worsening pain. At 5 years, however, a decrease in pain was noted for statins use (relative risk ratio [RR], 0.91; 95% CI, 0.83-0.997; P =.04 in fully adjusted model; RR, 0.90; 95% CI, 0.82-0.993; P =.03 after adjusting for the propensity score). Atorvastatin was associated with a lower risk of developing pain (RR, 0.95; 95% CI, 0.91-0.996; P =.03) while rosuvastatin was linked to a higher risk of developing pain. Study researchers concluded that “using statins for more than 5 years from baseline and atorvastatin use were associated with reduced pain worsening.” However, rosuvastatin at 5 years was associated with a higher risk of worsening pain. Disclosures: Multiple authors declare affiliations with pharmaceutical companies, and multiple pharmaceutical companies made a portion of this study possible. Please see original article for a full list of disclosures. Veronese N, Koyanagi A, Stubbs B, et al. Statin use and knee osteoarthritis outcomes: a longitudinal cohort study [published online August 24, 2018]. Arthritis Care Res. doi: 10.1002/acr.23735.